Members of the Ku Klux Klan have claimed in recent weeks that Donald Trump's election serves as proof that white people are taking back America. Despite this, and claims that America was founded for and by white people who now need to "take it back" from immigrants, people of color, and other marginalized groups, the Associated Press recently reported that some KKK members argue that they are not white supremacists. "We're not white supremacists," one man told the AP shortly before a pro-Trump KKK parade. "We believe in our race." This interview took place during a nighttime event near the North Carolina-Virginia border, and other Klan members present at the time described themselves as white separatists — a subgroup of white nationalism. Klan members' assertions that they are not white supremacists directly contrasts with the stated mission of the organization. The Kloran – the KKK's official handbook, the original version of which was published just over 100 years ago — states that the Klan "shall ever be true in the faithful maintenance of White Supremacy." The Kloran hasn't faded into obscurity, either; many groups still follow it. It is likely that the KKK members interviewed by the AP seek to make their racism more "respectable" or "palatable" by disavowing the white supremacist label. They are also not the only ones — the rise of the so-called "alt-right" following Trump's election should remind us that racism cannot be respectable, and that it should not be normalized. Just because the KKK, the alt-right, and other extremist Trump supporters have claimed that they are not white supremacist does not make it so. In fact, they embody white supremacy, and we only help normalize it when we perpetuate labels like "alt-right" instead of describing them as white supremacist, white nationalist Neo-Nazis. The discussion about how to describe the KKK is not just one of semantics. To fight racism and white supremacy, it is necessary to explicitly identify them first. By rejecting the label "white supremacist," the Klan members interviewed by the AP are doing exactly what Trump did to win the election: spewing hate under a guise of respectability. It's actually not ridiculous, given that Trump was so successful using this strategy. Trump disavowed David Duke and the KKK, but aggressively supported a U.S.-Mexico border wall, which the KKK has been pursuing for years. He ducked comparisons between his proposed policies toward Muslims and the Holocaust, but appointed a known white supremacist and anti-Semite, Steve Bannon, to his cabinet. In other words, Trump hid behind his criticisms of political correctness to say whatever he wanted. And it worked. 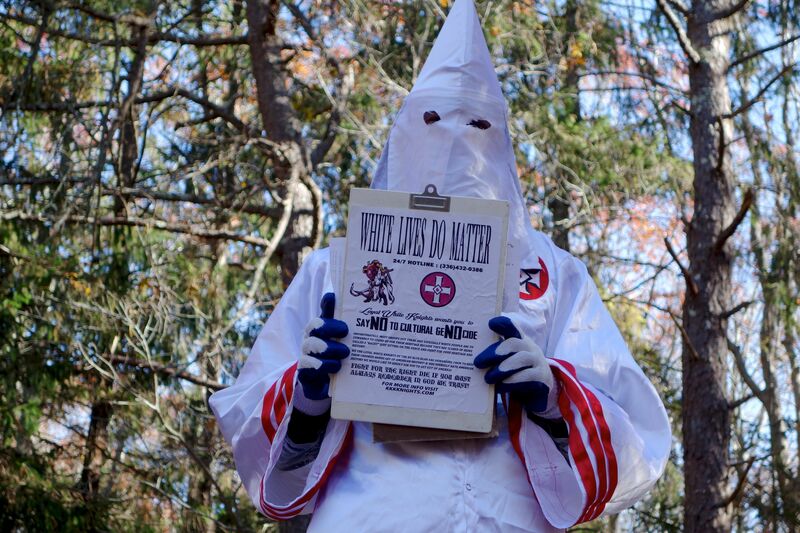 Now, the KKK is doing the same thing with the white supremacist label. Klan members know that more people are likely to consume their message if they are not quite as explicit about it. But whether or not they describe themselves as white supremacists, we know that they are, and it is absolutely critical that we do not normalize their bigotry.